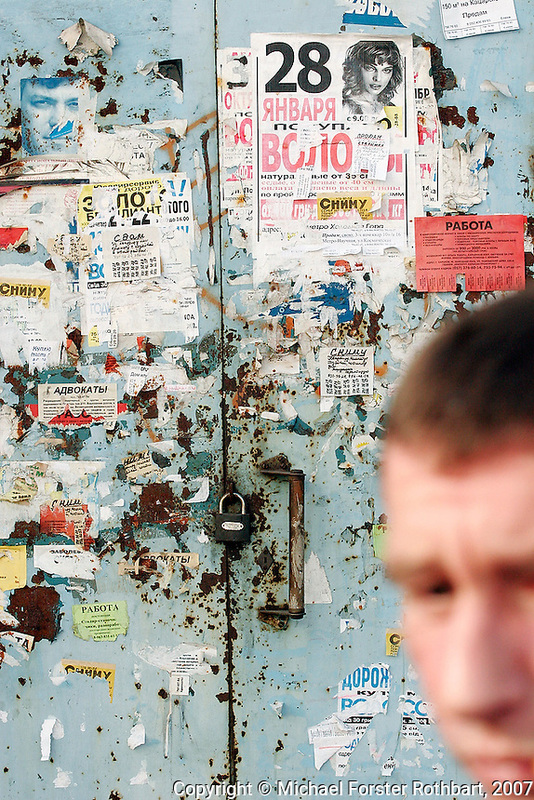 A closed storefront in Kharkiv, Ukraine, is plastered with signs from people selling household possessions. Today, the economic effects of Chernobyl are as serious as the radiation. Poverty and high unemployment are especially acute in radiation-affected areas, which new businesses have avoided due to the stigma of Chernobyl.